Speaking to in 1981 to Larry Smarr, an American astrophysicist, “How come your country, which makes the supercomputer … why is that American academics have to come over here? How did you win the war?” questioned Karl Heinz Winkler, a fellow astrophysicist at the Max Planck Institute (MPI) in Munich, West Germany. “America is number 1 economically, but is basically occupying West Germany militarily,” Winkler continued to his American visitor. 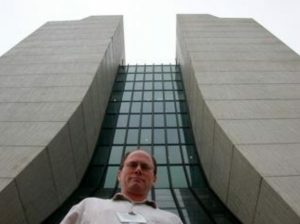 Larry Smarr exemplifies the academic engaging research questions concerning black holes, which required access to supercomputing. He had experience running supercomputing jobs since 1976 at the Lawrence Livermore National Lab (LLNL) during the summers. He quickly learned that a job that took overnight on a VAX would complete in a matter of minutes on a Cray 1. 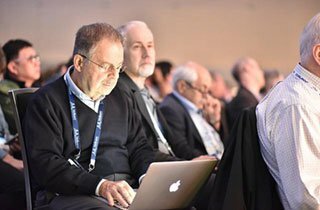 However, access and availability to supercomputing cycles at LLNL were constrained. Access was more readily available in Germany at the MPI, home of the first Cray in Europe. MPI was created in 1978 as the first multidisciplinary scientific institute on the continent operating in an open environment. 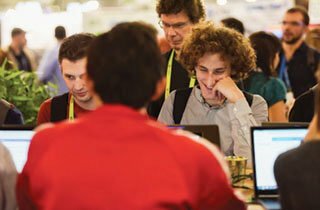 If a supercomputer center could be successfully operated in an open academic setting in Europe, why not the United States? That was the question. 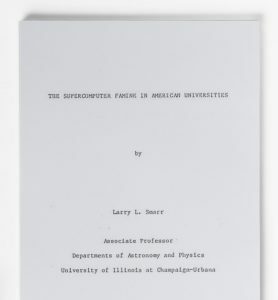 In early 1982, Smarr independently carried out his own local study at University of Illinois (Urbana-Champaign) that polled academics about the problems they were working on, and could work on if they had access to a supercomputer. He surveyed 15 different departments, and came away with 65 different examples. According to Smarr, it was the most comprehensive survey to date at the time. It had the provocative title, “The Supercomputer Famine in American Universities” and was to appear as an appendix to the Lax Report. Meanwhile the Lax committee had been meeting and a current draft of the report had circulated to Smarr. This draft, like the Press report, was recommending that the location of supercomputers should be at the national labs and that academic access would be provisioned. This prompted Smarr to make a fateful phone call to Peter Lax in the Fall of 1982 to argue for the possibility of locating supercomputer centers on university campuses. He evidently had some measure of success because the final version of the Lax Report allows for this possibility. 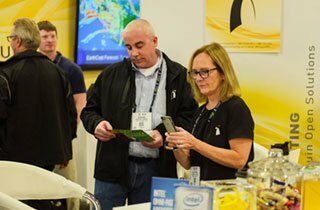 For more on how this story continues, see upcoming SC18 newsletters and blog articles.